A fine example of an oak arts and crafts bed. This beautiful solid oak barley twist 4ft bed features an elegant headboard and footboard with a decorative panel to centre. The bed comes complete with a newly made pine slatted bed base which is supported with robust side irons. 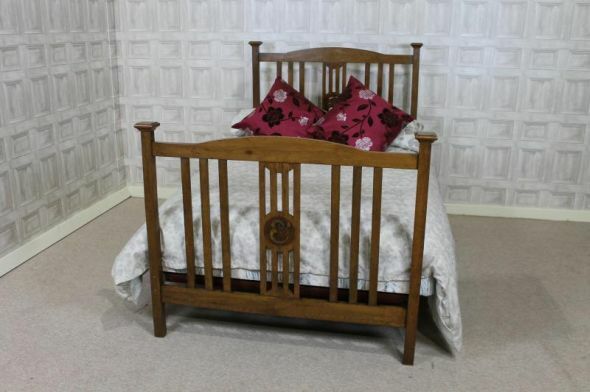 This oak arts and crafts bed is in lovely condition for its age, and is ideal to complement any period bedroom setting; ideal for any spare room.